A stance like doing a prayer, a triangular head that moves 180 degrees; praying mantis is one insect that’s found quite commonly at Denwa Backwater Escape, Satpura. In the morning we were doing our daily chores when this beautiful insect landed on our dining premises. Very similar to its green colored counterpart, brown praying mantis are predators having large compound eyes which give them terrific vision to catch its prey. They get easily camouflaged in the green foliage and dry leaves. With its modified forelegs that are held in prayer like position they can quickly pounce on their prey in no time. Males are generally smaller than female which are cannibalistic in nature. 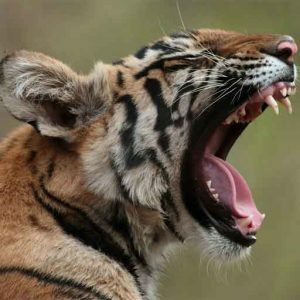 Most of the wild mating result in the male being killed by the female. That’s why it is called sexual cannibalism. Mating may last from minutes to a few hours. 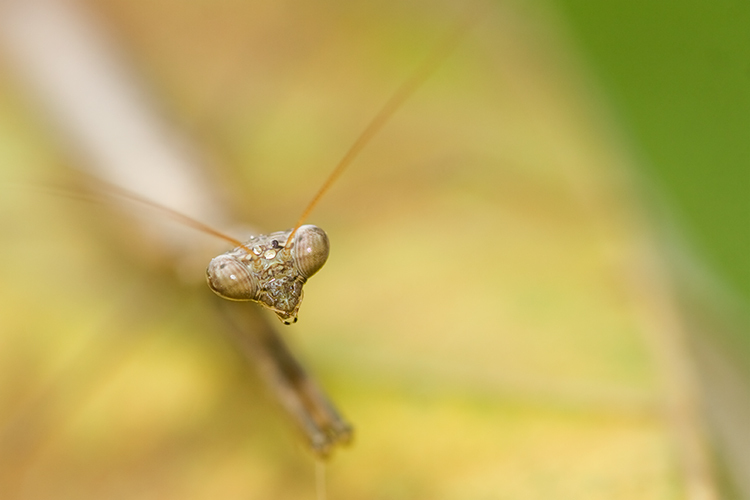 Use a Macro lens to get in close to the mantis and if possible attach an extension tube as well (Though you might lose few f-stops but it’s worth it). Here I used Manual mode on my Canon 100 mm macro non-IS lens mounted on my Canon 40 D. I took a meter reading of the background element in my frame in order to get a correct exposure. I also used my inbuilt flash and kept my white balance on flash mode. While doing manual focus I moved back n forth to get tack sharp focus on its eye. 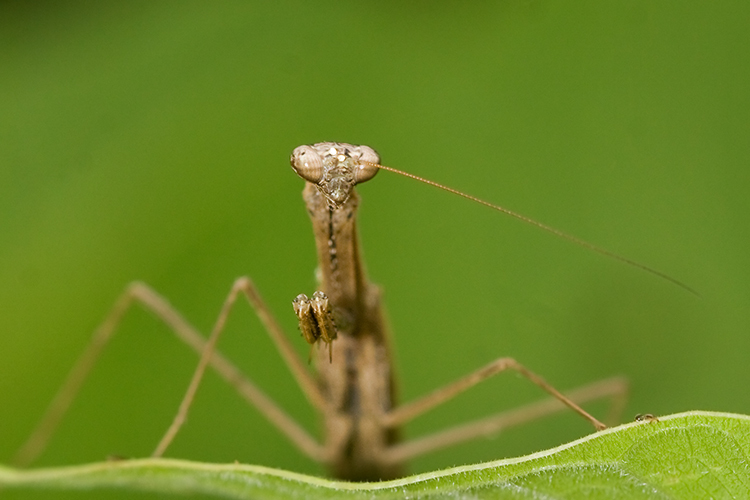 Insects like mantis give you ample amount of time to focus correctly and play with your meter readings. It’s quite a challenge to do the same with other insects, as they continuously keep moving and their background elements keep changing every time. Posted on September 15, 2014 by pugdundee blog. This entry was posted in Insects, Wildlife and tagged denwa backwater escape, Mantodea, praying mantis, praying mantis life cycle, praying mantis mating. Bookmark the permalink.